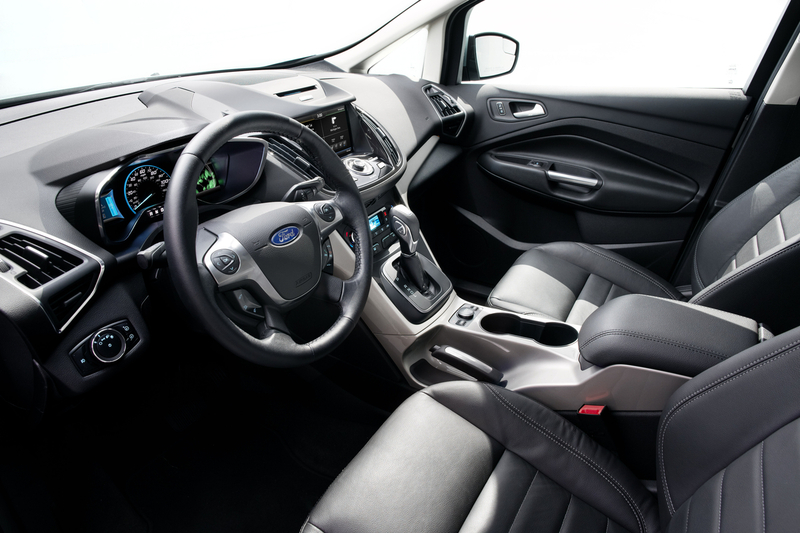 The C-MAX is the newest hybrid from Ford. It’s just arriving at dealerships in the US but has been available in Europe, in a non-hybrid form, for the last two years. 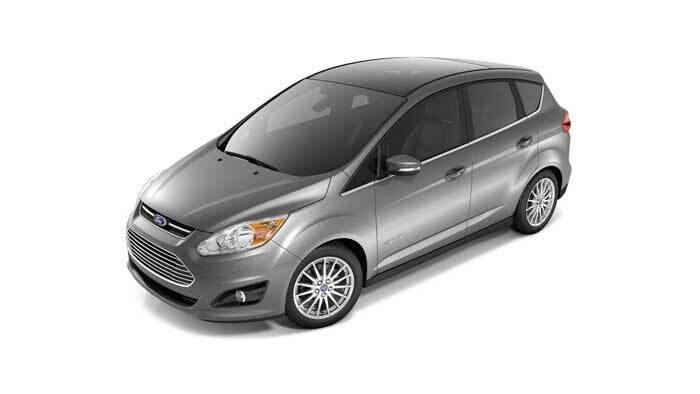 Built on the Focus chassis the C-MAX is, at heart, a station wagon, in size not unlike a Honda CRV. 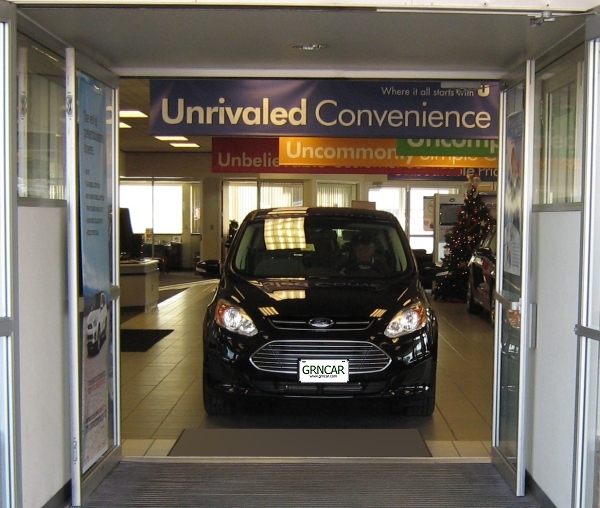 There are three traits that really make the C-MAX stand out: excellent gas mileage, strong acceleration, and good visibility; normally only excellent gas mileage is associated with hybrids. Generally acceleration, and to some degree visibility, are sacrificed for greater engine efficiency and lower wind resistance, Any hybrid owner will tell you that high mileage and strong acceleration seldom go together. So, how good is the mileage with the C-MAX? The EPA rates it at 47 mpg in town and 47 on the highway. Not as good as the Prius (rated at 51 combined) but better than Toyota’s new hybrid station wagon, the Prius v (“v” for versatility) which clocks in at 44 in town, 41 on the highway. How good is the acceleration? 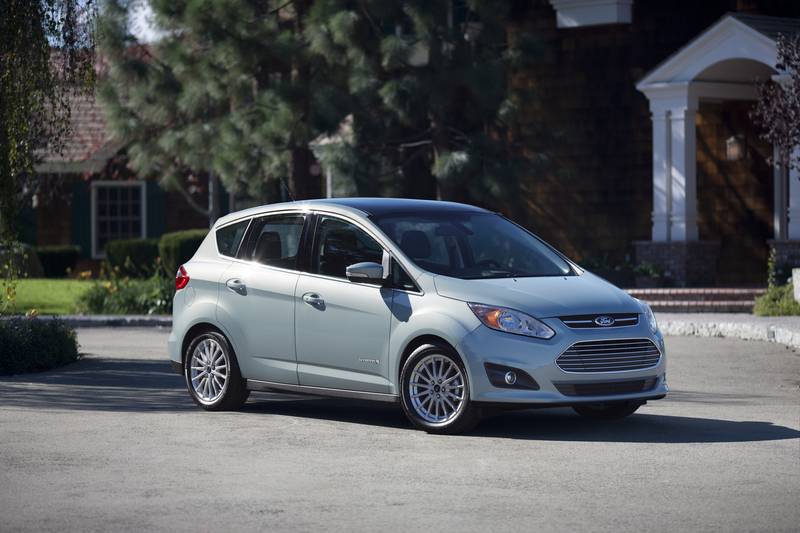 The C-MAX is more than 2 seconds faster than the Prius v when going from zero to sixty. In fairness to the Prius, if you take full advantage of the C-MAX’s acceleration your gas mileage will plummet. To get the full 47 miles per gallon better plan on driving the C-MAX as if it has no better acceleration than the Prius. Still, it’s nice to have the extra power – say for merging with traffic – when you need it. Another area where the C-MAX shines is driver visibility. Unlike a lot of hybrids (and newer vehicles in general) the C-MAX has large windows that provide an outstanding view for the driver all around. Also, it doesn’t hurt that the C-MAX raises the driver and passengers higher off the ground. With the exception of the Prius v, the C-MAX is one of the tallest hybrids made. If you are used to straining your neck to see around the blind spots that pervade most hybrids the C-MAX will be a pleasant surprise. I really can’t say enough about the C-MAX’s ride and handling. 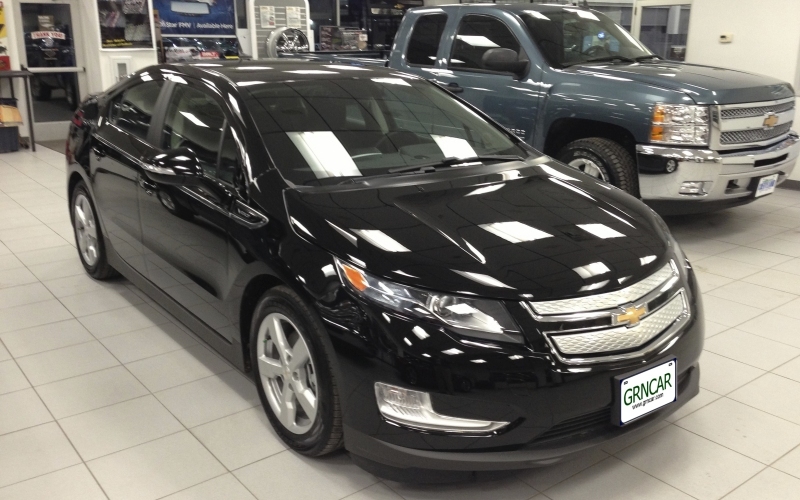 It’s not just good for a hybrid, it is good period. It stacks up very well with the Honda CRV and better than the Toyota Rav 4. It has a slightly firmer ride than the Rav 4, but still very comfortable, one that leaves the driver feeling fully in control. If you like the ride and sharper handling of Hondas or Volkswagens, you will be pleased with the C-MAX. 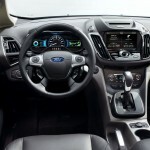 There is only one bad thing about the C-MAX: Some of the dashboard controls are a little confusing. 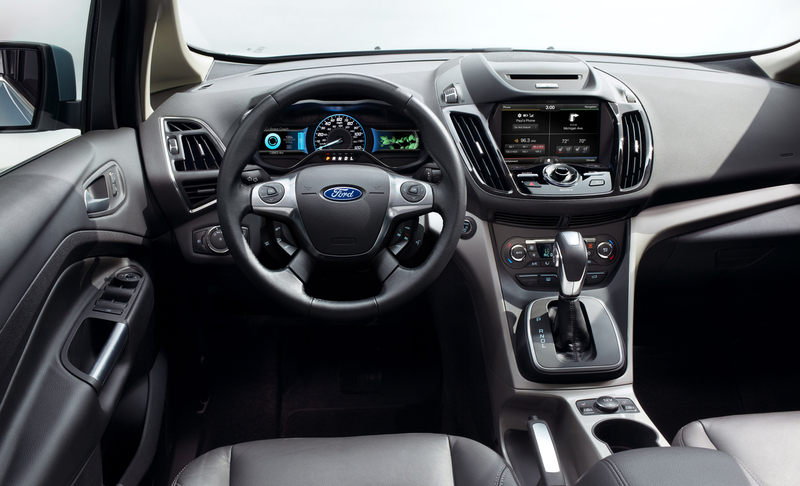 The center instrument cluster on the base C-MAX is almost impossible to figure out as are some of the controls on the steering wheel. I found very little to be intuitive about using these controls, what I assumed were the volume controls were actually used to control the dashboard display. The actual volume controls are somewhat hidden below the spokes of the steering wheel – roughly where I would expect the cruise control. Back to C-MAX strong points. Number one is the price. Starting at $25,200 the C-MAX base price is almost a thousand dollars less than its main competitor, the Prius v. Its true the Prius v has more cargo room but in almost every other area – ride, handling, acceleration, miles per gallon, visibility, seat comfort – the Prius v falls short. Another strong point is the parking brake. Its next to the gear shift lever where you would expect to find it. Same thing with the gear shift lever. They aren’t part of the dashboard like the Prius v, they are right where you expect them to be. Overall Ford is to be commended for the C-MAX. They’ve really done their homework and created an excellent hybrid. It’s user friendly because most of the major controls are right where you expect them and its driver friendly due to the excellent acceleration, mileage and visibility. If gas prices continue to rise, you’ll be seeing a lot more of the C-MAX. If you have any questions about the C-MAX, feel free to leave a reply. I try to answer questions within 36-hours, often sooner. 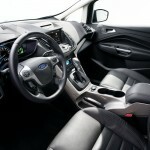 C-MAX image gallery – Click an image to enlarge.